RESTON, VA – April 14, 2015 – Toffler Associates continues to increase its growth trajectory, growing quarter-to-quarter revenue by 38% in the first quarter of 2015 and realizing a 70% gain in revenue over the same quarter in 2014. This is the third consecutive quarter of increasingly positive results for the company, and represents the greatest percentage revenue gains for the company in the past decade. 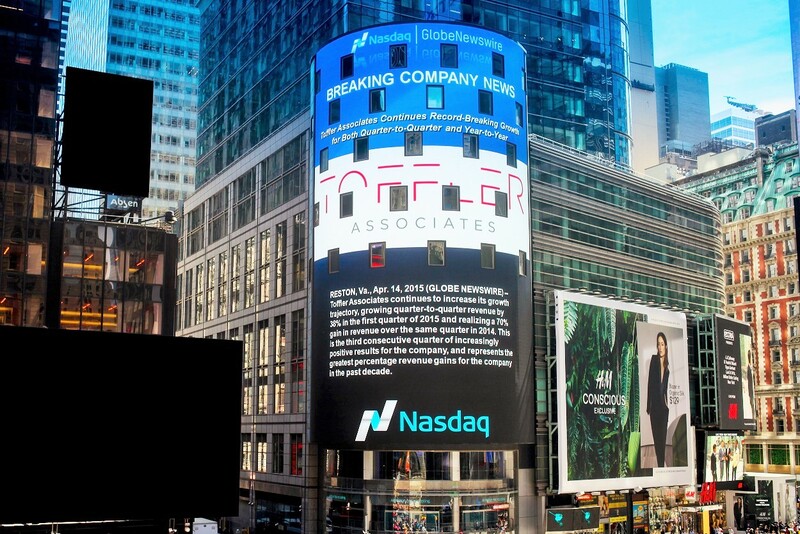 “The accelerating growth of our firm is a result of our intensified focus on helping leaders tackle their most difficult challenges, the diverse experience and expertise of our team, and the successes our clients are experiencing as a result of their partnerships with us” said Managing Director Deborah Westphal.